Jatiya Party chairman H M Ershad on Friday (Sep 7) said that his party no longer wanted to remain as the opposition party in parliament. ‘‘We want to go to power this time. We don’t want to sit in the number two chair of parliament,’’ he said. 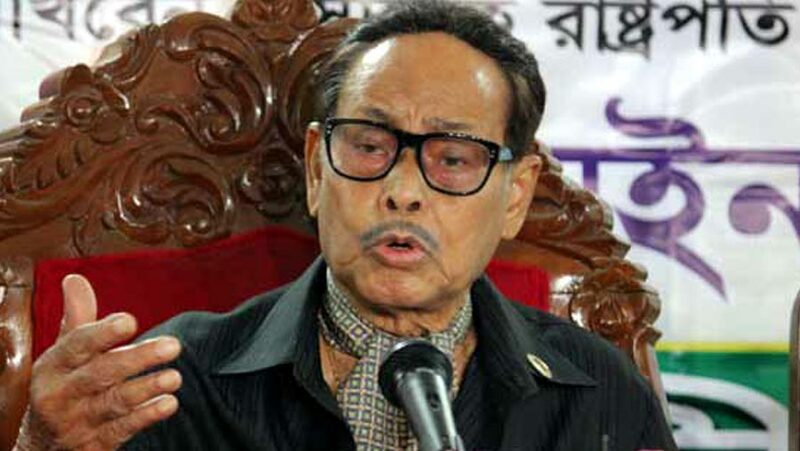 Ershad, a former military ruler, came up with the remarks while visiting the venue of Jatiya Party’s joint meeting on Friday at the Institution of Engineers, Bangladesh, local media reported. He said that Saturday’s meeting would demonstrate that Jatiya Party had gained the strength to go to power. The Jatiya Party chief also urged his party leaders and activists to become united ahead of the upcoming general election.